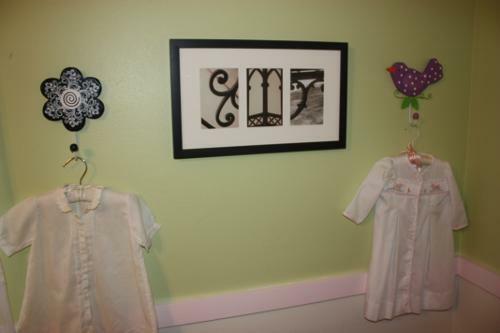 "I have Allison's beautiful work displayed in my kitchen right above 3 family pictures. I chose to put it in the kitchen because this is where our family gathers the most and we would be able to enjoy it here." "Every time I walk into my daughter's room I am met with memories of places in my past and am so grateful to have such a meaningful and beautiful work of art to share with her. My E is from Auburn, the M from Montevallo, and the Y is from Pelham." "I LOVE LOVE LOVE our piece from you. 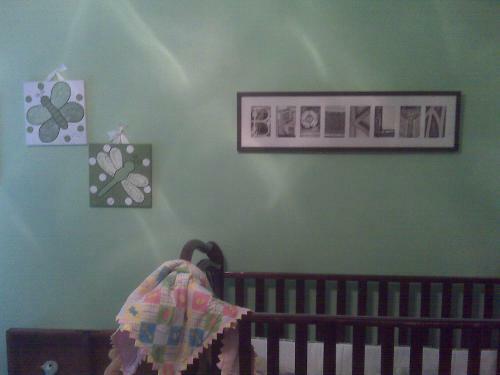 It was my very favorite baby gift, and it just makes Brooklyn's room so beautiful and special...."
"The wonderful piece you made for our daughter is the centerpiece of her nursery. Designing it in person with you meant so much and I smile everytime I look above her crib." 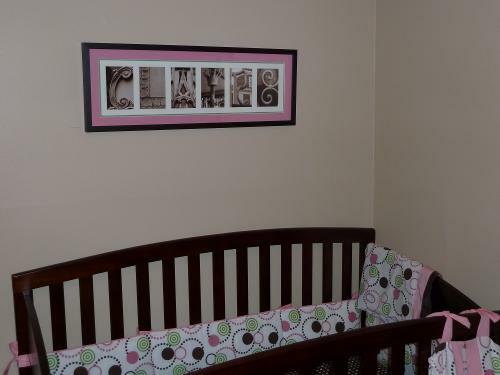 "We are the proud owners of four of Allison's pieces. They are all very special to us. 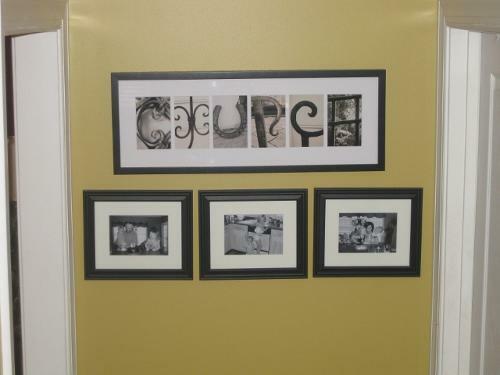 Each piece has pictures that were taken at some of our most favorite places. 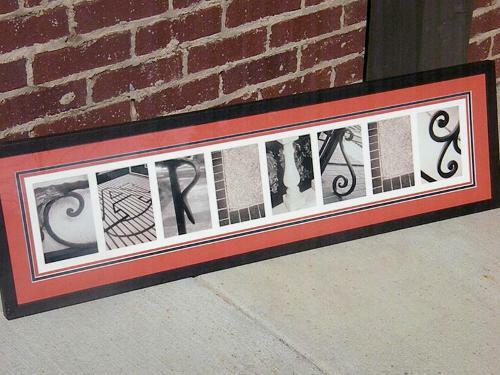 We have our last name done in letters all from Auburn, which is where my husband and I met. Our daughters names are done in letters from our favorite vacation spot. They are hung over their beds and really make their room look great."